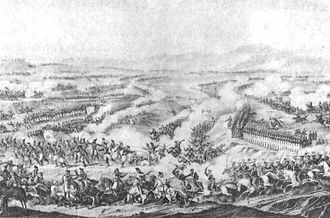 The Battle of Ganja (Armenian: گنجه قلعه‌سینین ایشغالی, Gəncə qalasının işğalı; Persian: اشغال قلعه گنجه‎) or Elizabethpol (also Yelisavetpol &c.) was the result of a Russian offensive in the South Caucasus intended to conquer the Ganja Khanate, which contributed to the escalation of the Russo-Persian War (1804–1813). 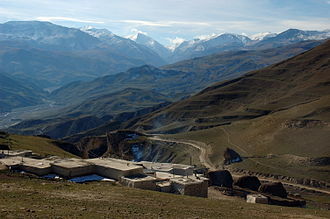 ^ a b Donbuli, Abd-al Razagh. Gholam-hussain Sadri Afshar, ed. Maaser al Sultaniyeh (in Persian) (2nd ed.). Tehran: Ibn Sina. p. 109. Initially designating a commander-in-chief, it eventually came to be held by senior provincial governors. Its equivalents in Arabic were amir al-umara, and in Persian, the title was used by the Khans of the Indian princely state of Kalat. The title originated with the Seljuqs, and was used in the Sultanate of Rum initially as an alternative for the Arabic title of malik al-umara, the Mamluks of Egypt possibly used it as an alternative title for the atabak al-asakir, the commander-in-chief of the army. 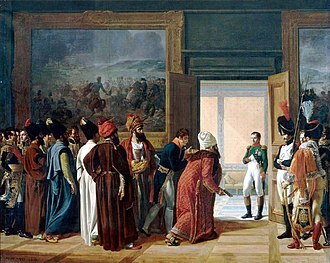 The Ottomans used the title from the late 14th until the mid-19th century, with varying meanings, in addition, Lala Shahin was given military authority over the Ottoman territories in Europe. After Lala Shahins death, sometime in 1385–87 he was succeeded in the position of commander-in-chief in Rumelia by Çandarlı Kara Halil Hayreddin Pasha. 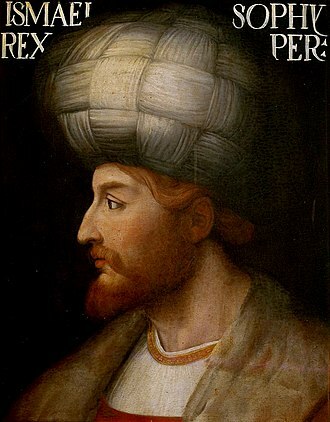 In 1393, Sultan Bayezid I appointed Kara Timurtash as beylerbey and viceroy was in Anatolia, when Bayezid crossed over into Europe to campaign against Mircea I of Wallachia. This process marked the birth of the first two, and by far the most important, beylerbeyliks, of Rumelia and Anatolia, while the third beylerbeylik, that of Rûm, followed soon after. The size of new provinces varied enormously, some containing as many as twenty sanjaks. 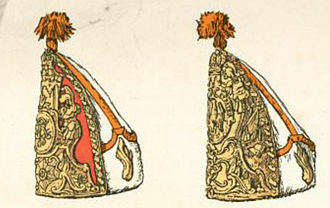 Among themselves, the various beylerbeys had an order of precedence based on the date of conquest or formation of their provinces. The beylerbey of Rumelia, retained his pre-eminence, ranking first among the other provincial governors-general, in addition, the post was occasionally held by the Sultans chief minister, the Grand Vizier himself. From the 16th century on, viziers could be appointed as provincial beylerbeys, enjoying precedence, under the Safavid dynasty of Persia, the title was used from ca. 1543/44 on for governors of the important provinces. 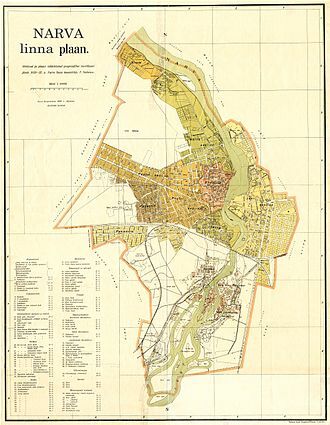 The title was used for the governors of Herat, Ganja, Shirvan, Iraq. The Safavids used the title of wali for provinces even more important than those of beylerbeys, towards the end of the Safavid period, the title of beylerbey had been eclipsed by that of wali, most notably being the walis of the shahs their Georgian lands. 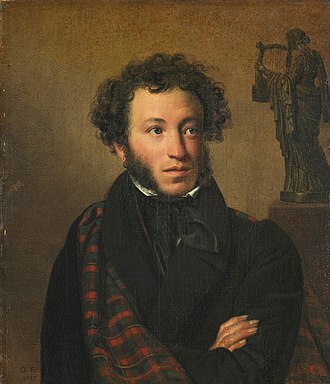 In the contemporary Persian sources he is referred to as Erekli Khan, while Russians knew him as Irakly. His name is transliterated in a Latinized form Heraclius because both names Erekle and Irakli are Georgian versions of this Greek name. 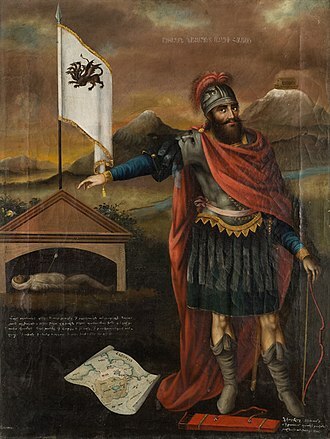 Heraclius died in 1798, leaving the throne to his moribund heir, born in Telavi, the center of Kakheti region of Georgia, Heraclius was a son Teimuraz II of Kakheti and his wife Tamar, daughter of Vakhtang VI of Kartli. Teimuraz sided with the Persians and was installed as a Persian wali in Kakheti, many Georgian nobles refused to accept the new regime and rose in rebellion in response to heavy tribute levied by Nader upon the Georgian provinces. 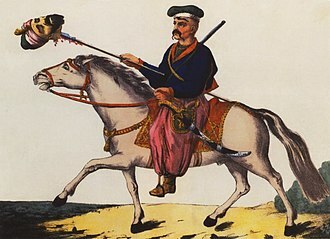 From 1737 to 1739, Heraclius commanded a Georgian auxiliary force during Nader’s expedition in India and he served as a lieutenant to his father and assumed the regency when Teimuraz was briefly summoned for consultations in the Persian capital of Isfahan in 1744. Yet, both Georgian kingdoms remained under heavy Persian tribute until Nader was assassinated in 1747, Teimuraz and Heraclius took advantage of the ensuing political instability in Persia to assert their independence and expelled Persian garrisons from all key positions in Georgia, including Tbilisi. 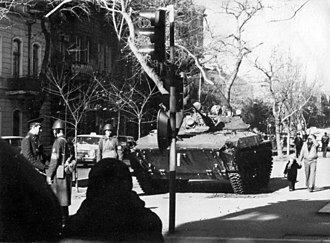 In close cooperation with other, they managed to prevent a new revolt by the Mukhranian supporters fomented by Ebrahim Khan, brother of Adel Shah. 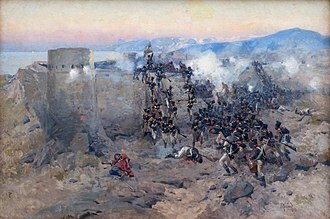 In 1749, he occupied Yerevan, and in June 1751, Heraclius defeated an army commanded by a pretender to the Persian throne and his former ally. As The Cambridge History of Iran notes, after these events, around that time, it had become obvious that Mashhad, a minor Afsharid remnant at that time, was no longer functioning as the seat of the Iranian government. 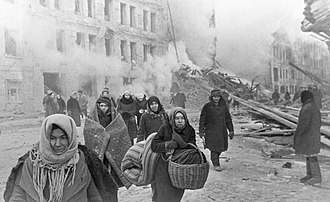 The embassy failed to any results, for the Russian court was preoccupied with European affairs. 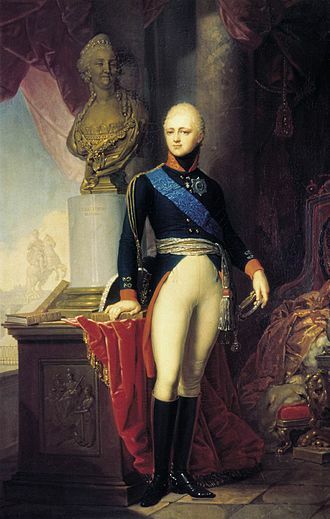 He strove to enlist the support of European powers, and to attract Western scientists and technicians to give his country the benefit of the latest military and his style of governing resembled that of contemporary enlightened despots in Central Europe. He exercised executive and judicial authority and closely supervised the activities of government departments, Heraclius’s primary objective in internal policy was to further centralize the government through reducing the powers of the aristocracy. 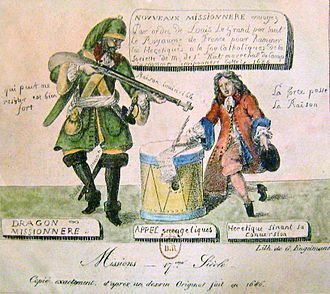 For this purpose, he attempted to create a governing élite composed of his own agents to replace the self-minded aristocratic lords in local affairs, in the words of the British historian David Marshall Lang, his vigilance in the care of his people knew no bounds. In foreign policy, Heraclius was primarily focused on seeking a reliable protector that would guarantee Georgia’s survival, Heraclius’s initial cooperation with Russia proved disappointing. Still, Heraclius continued to seek alliance with Russia, his immediate motivation being the Persian ruler Karim Khans attempts to bring Georgia back into the Persian sphere of influence. 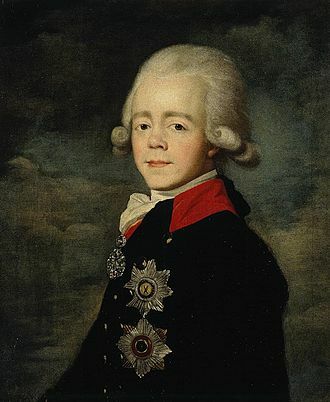 Karim Khan’s death in 1779 temporarily relieved Heraclius of these dangers, in 1783, the Russian expansion southward into the Crimea brought the Caucasus into Catherine II’s area of interest. 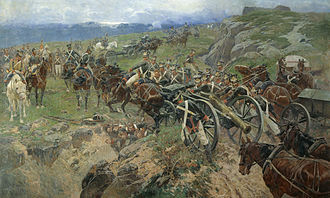 However, during the Russo-Turkish War, a Tbilisi-based small Russian force evacuated Georgia, in 1790 Heraclius concluded the Treaty of the Iberians with western Georgian polities. 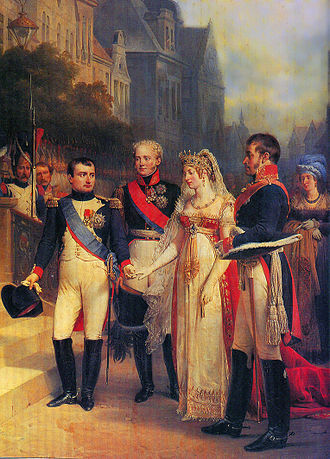 Subsequently, in order to restore Russian prestige, Catherine would launch a punitive campaign against Iran the next year, but it was shortly recalled after her death. 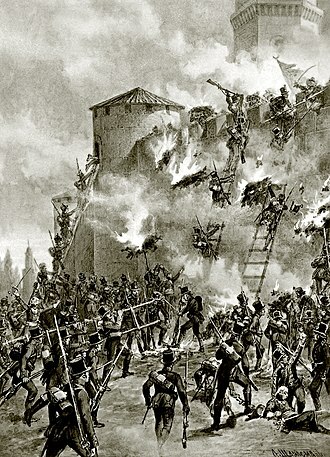 The following years remained turbulent and were known as a time of muddle, reestablishment of Iranian rule over Georgia did not last long, for the shah was assassinated in 1797 in Shusha, and the Georgian king had died the year after. With Georgia laying in ruins and the rule in Iran being concerned with the next heir to the throne. After these wars, Iran ceded Transcaucasia and Dagestan to imperial Russia per the Treaty of Gulistan and the Treaty of Turkmenchay. 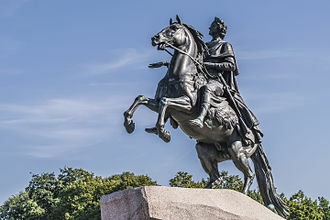 However, with the death of Nader Shah in 1747, both kingdoms broke free of Iranian control and were reunited in a union under the rule of the energetic king Heraclius II in 1762. 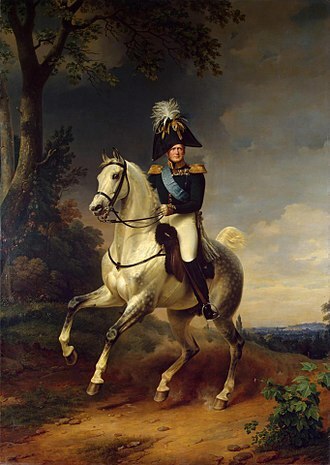 Between 1747 and 1795, Erekle was therefore, by the turn of events in Iran, in 1783, Heraclius placed his kingdom under the protection of the Russian Empire in the Treaty of Georgievsk. 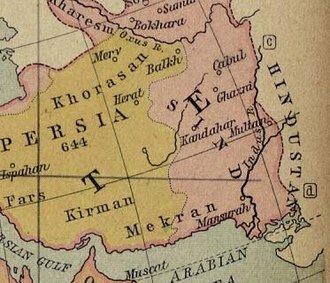 In the last few decades of the 18th century, Georgia had become an important element in Russo-Iranian relations than some provinces in northern mainland Persia. On top of that, having another port on the Georgian coast of the Black Sea would be ideal, in the next several years, Russia would be too occupied with Turkey and the European consequences of the French Revolution to give Georgia much attention. 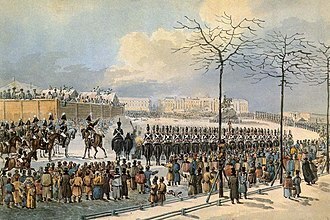 In 1792, Gudovich told Erekle that he would receive only diplomatic support in the advent of any Iranian onslaught, the consequences of these events came a few years later, when a new dynasty, the Qajars, emerged victorious in the protracted power struggle in Persia. Their head, Agha Mohammad Khan, as his first objective, for Agha Mohammah Khan, the resubjugation and reintegration of Georgia into the Iranian Empire was part of the same process that had brought Shiraz and Tabriz under his rule. 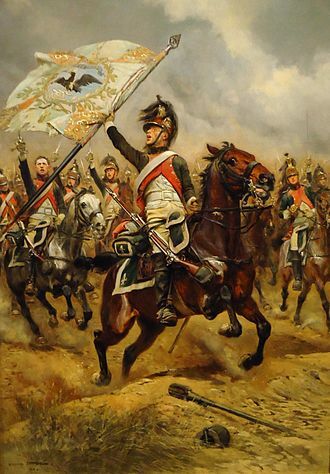 He viewed, like the Safavids and Nader Shah before him, Georgia was a province of Iran the same way Khorasan was. As the Cambridge History of Iran states, its permanent secession was inconceivable and had to be resisted in the way as one would resist an attempt at the separation of Fars or Gilan. Agha Mohammad Khan Qajar was the founder of the Qajar dynasty of Iran, ruling from 1789 to 1797 as king. He was originally chieftain of the Qoyunlu branch of the Qajar tribe, in 1789, Agha Mohammad Khan was enthroned as the king of Iran, but was not officially crowned as its king until March 1796. On 17 June 1797 Agha Mohammad Khan was assassinated, and was succeeded by his nephew, Agha Mohammad Khans reign is noted for the reemergence of a centrally led and united Iran. 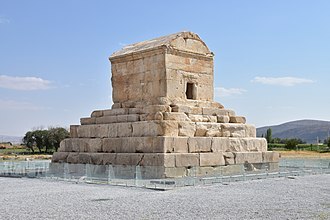 After 48 years, they were all reconquered by Agha Mohammad Khan, Agha Mohammad Khan is noted for moving the capital to Tehran, where it still stands as of today. Agha Mohammad Khan was born in around 1742 in Astarabad and he belonged to the Qoyunlu branch of the Qajar tribe. 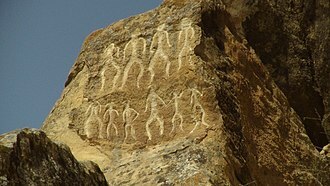 The tribe had several branches, one of the most prominent ones being the Develu. Although he failed to catch Hasan, Adil Shah managed to take Agha Mohammad Khan and he chose to spare Khans life and instead had him castrated and thereafter freed, the origin of his title Agha, a common one among eunuchs who served at the court. During the following 10 years, Afsharid rule in Khorasan suffered heavily from war among rival chieftains and from invasions by the Durrani ruler of Qandahar, Ahmad Shah Durrani. During this period, Mohammad Hasan fought against the Pashtun military leader Azad Khan Afghan and he was, defeated in 1759 by a Zand army, and thereafter betrayed by his own followers and killed by his old rival, Mohammad Khan of Savadkuh. Due to Agha Mohammad Khans castration, his brother Hosayn Qoli Khan was appointed as the new chieftain of the Qoyunlu instead, shortly thereafter Astarabad fell under the control of Karim Khan, who appointed a Develu named Husain Khan Develu as its governor. Meanwhile, Agha Mohammad Khan and his brother Hosayn Qoli Khan fled to the steppe, one year later, Agha Mohammad Khan made an incursion against Astarabad, but was forced to flee, chased by the citys governor. Agha Mohammad Khan managed to reach Ashraf, but was at last seized and was sent as a hostage to Tehran, Hosayn Qoli Khan was soon captured and sent to Karim Khan. Shah Ismail I, the Sheikh of the Safavi tariqa, founder of the Safavid dynasty of Iran, and the Commander-in-chief of the Qizilbash armies. The Iranian-ruled administrative division of the Derbent khanate included many of the Lezgins until its occupation and dissolution by the Russians as a result of the Russo-Persian Wars of the 19th century. Daud Khan Undiladze, ghilman and the beylerbey of Ganja and Karabakh from 1625 to 1630. 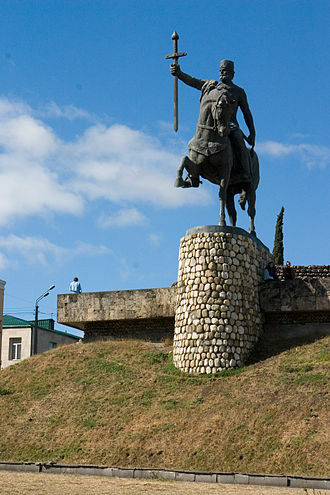 Monument of Erekle II in Telavi. The tomb of Heraclius II in Svetitskhoveli cathedral. 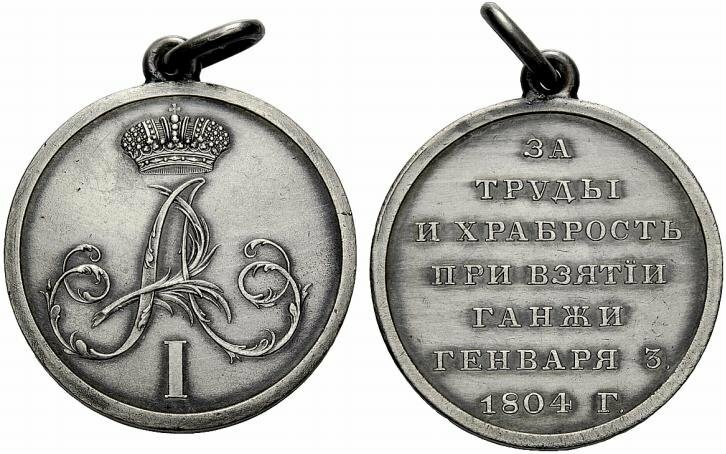 Coin of Ganja khanate, that reads "Minted in Ganja (Zarb Ganja), Ya Karim"